Hypnosis for anxiety and stress and will help your mind perceive situations in a different way and you will join many people have already used it to reduce their stress and anxiety levels. 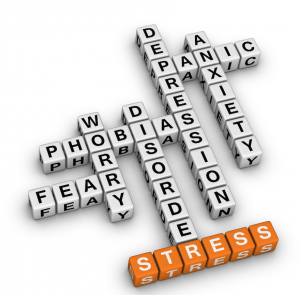 You can manage stress with hypnotherapy. Stress is almost a part of our daily life. Everybody experiences stress at one point or the other. There are two types of stress – good stress and bad stress. The good stress is like waiting for your test results or that overwhelming feeling you get when you finally get that promotion you’ve worked real hard for. There is an end to it. The bad stress on the other hand is the type that leads to a lot of illnesses. Bad stress happens when you are continually faced with challenges you cannot complete and there is no relief to that stress and in turn you will not be able to relax. There are a lot of ways to manage stress but stress management with hypnosis has proven to be an effective method of reducing stress and anxiety for various people. Tranceform Hypnosis in Chester can help you learn how to relax so that you can reduce your stress and tension levels as well as your anxiety. They can also teach you how to do self hypnosis so that you are able to ease the stress whenever you have to helping you to unblock your mind and relieve you of your stress and anxiety. Not only will hypnosis help you relieve stress at any given instance, it can also help you reduce or totally get rid of the issues that is causing you stress – the source of the problem. No matter what our triggers are, it is our mind that tells our body how to respond to those triggers. If our mind interprets a situation as being stressful or anxious, it tells our body that we are in a stressful situation and our body will react in that regard. Today people normally take rest and relaxation for granted as only a small number of people take the time to actually unwind, which leads to more stress and anxiety on the body and mind. Stress causes headaches, anxiety, depression, emotional disorders, heart problems, high blood pressure and the like and about 43% of adults suffer from the effects of stress. About 75% to 90% of people that visit the hospital do so because of issues related to stress and anxiety.